World Series Swims is a family of events that includes some of Australia’s most popular annual ocean swims. The event destinations are all world class beaches, fit for anyone’s swimming bucket list. Each event has its own unique course options and distances that provide a challenge for every ability, from fun kids events to short courses, long courses and marathon distances for competitive swimmers. We are again pleased to offer a sensational Major Prize: A return trip for 2 people thanks to Tourism Noosa for the Noosa Summer Swim on February 01 & 02, 2020. 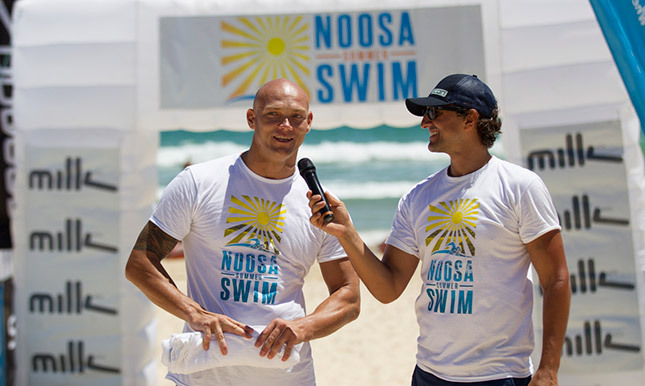 The prize includes flights (Sydney - Sunshine Coast), 2 nights accommodation twin/double, two entries into any Noosa Summer Swim events. The winner will be announced at the B2B swim presentations on Sunday 1st December 2019.